FRANKFORT, Ky. (Aug. 30, 2018) – The Kentucky Public Service Commission (PSC) has rejected a proposal by the Kentucky Utilities Co. (KU) and Louisville Gas & Electric. Co. (LG&E) to deploy advanced “smart” meters and associated technology throughout their systems. The KU/LG&E application was denied without prejudice, meaning that the utilities may submit a similar plan in the future. KU proposed to replace about 531,000 electric meters, while LG&E proposed to replace about 413,000 electric meters and to retrofit about 334,000 natural gas meters. The utilities estimated that the total capital cost of the new meter systems would be $165.2 million for LG&E – $103.7 million for electric and $61.5 million for natural gas – and $146.7 million for KU. The cost to deploy the new meters would have been an additional $13.3 million for LG&E and $15.2 million for KU. Advanced meters have a radio transmitter that connects to a central communication network. The meters can transmit usage data in real time and also can transmit information about power outages and other unusual events, such as tampering. Because the meters are read remotely, the utilities contended that the meters would produce net savings by reducing the cost of meter reading. The utilities also stated that the meters would improve system reliability and reduce losses from system malfunctions and theft of service. Advanced meters have the ability to record usage in small time increments. KU and LG&E stated that customers would be able to use the more detailed information to better manage energy costs. In rejecting the application, the PSC cited several inconsistencies in the case presented by the utilities, including conflicting calculations of net savings and differing projections of the expected service life of the advanced meters. The utilities ultimately contended that the meters would last 20 years, but produced minimal evidence in support of that claim, the PSC said. The PSC also rejected the argument made by the utilities that their reasons for moving to smart meters were substantially the same as those of other electric utilities that have had their applications for smart meter systems approved recently. Unlike other applicants, KU and LG&E could not demonstrate that new meters were needed to insure adequate service. To the contrary, the utilities stated that their existing meters have an average remaining service life of 15 years or more and would continue to provide reliable service. Other utilities demonstrated that their current meters were obsolete and could not be properly maintained, the PSC noted. Given that customers were being asked to pay for both the new system and $52.9 million in unrecovered costs of the existing meters, KU and LG&E could not prove that their proposal was a reasonable least-cost option, as required by law, the PSC said. KU and LG&E did not provide evidence that smart meters were needed in order to allow consistent reading of large numbers of meters located inside customer residences or businesses, as was the case with Duke Energy Kentucky, the PSC said. Also drawing comparison to its 2017 approval of Duke Energy Kentucky’s smart meter application, the PSC noted that, unlike Duke Energy Kentucky, KU and LG&E had not proposed any programs to take advantage of smart meters’ advanced capabilities. Unlike Duke Energy Kentucky, KU and LG&E did not commit to pass on savings from smart meters to their customers, the PSC said. Noting those flaws and others, the PSC said that the likelihood of realizing a net cost benefit from advanced meters “is too marginal and the risk to ratepayers is too great” to justify approving the KU/LG&E application. 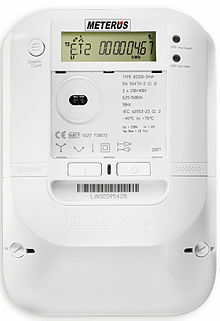 However, the PSC said KU and LG&E could expand existing pilot programs that offer smart meters to customers on a voluntary basis, encouraging the utilities to consider making the pilot programs more user-friendly by providing usage data that is closer to real time and by offering rate options that utilize the meters’ capabilities. Under the terms of the order, the utilities may double the programs to serve up to 10,000 customers of each utility. Other parties in the case were the Kentucky Office of Attorney General; Kentucky Industrial Utility Customers, Inc.; Metropolitan Housing Coalition; Community Action Council for Lexington-Fayette, Bourbon, Harrison, and Nicholas Counties, Inc.; and the Association of Community Ministries. The PSC conducted a public information and comment meeting in the case in Louisville on July 9 and an evidentiary hearing in Frankfort on July 24. Today’s order, videos of the hearing and public meeting, the KU/LG&E application and other records in the case are available on the PSC website, psc.ky.gov. The case number is 2018-00005.